It was a sunny Monday when the clock struck at 12 PM. You were about to go home when, suddenly, you sensed that someone was rushing towards you. An old skinny person was shouting your name; and surprisingly, it was your teacher in Computer Applications (Word, Excel and PowerPoint). The teacher grasped his breath and started talking. Your teacher was asking you to prepare a presentation for tomorrow’s event by creating a short presentation about a game called PACMAN. 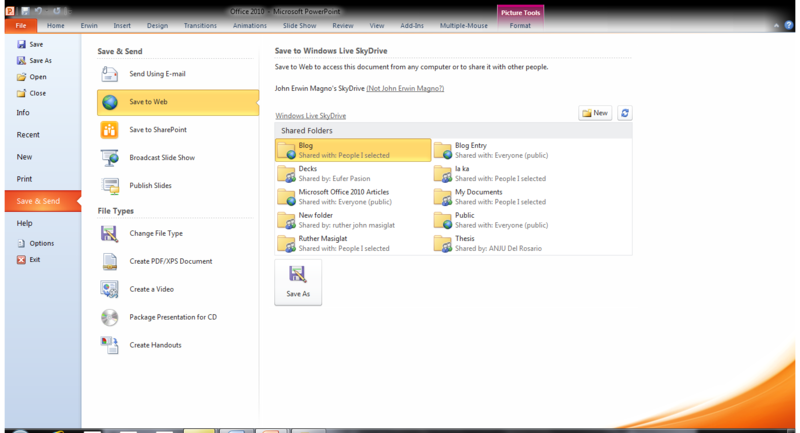 Concepts are starting to build up on your mind, and you are thinking of utilizing some new features of Office 2010. "The good thing with Office 2010 is that i can customize my own ribbon for my frequently used commands." A New tab will appear with corresponding ribbon groups and commands. You now successfully included commands in your new tab! 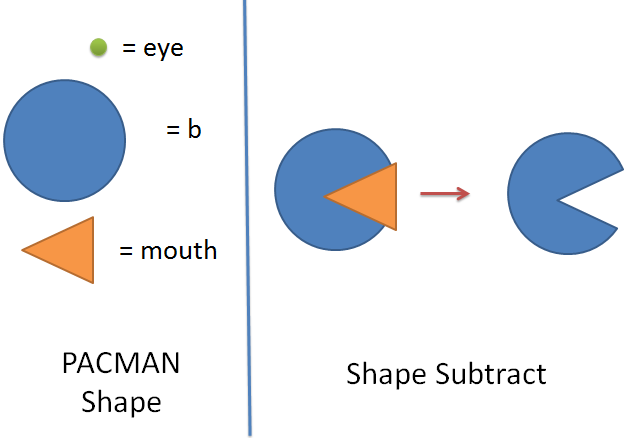 Now, you want to have a picture of PAC MAN and you thought of using shapes in PowerPoint; however, you observed that the shapes available are limited. 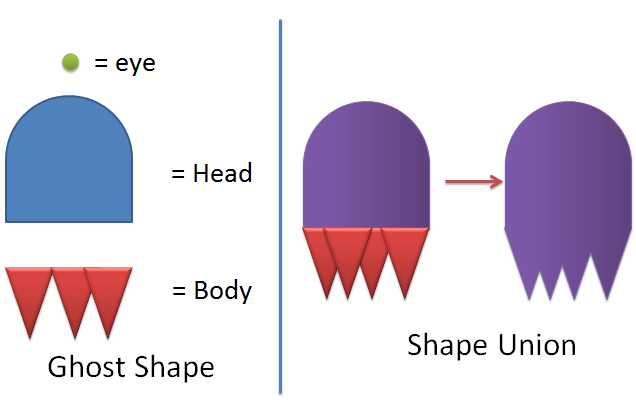 As you explored the application, you abruptly noticed that PowerPoint 2010 has a feature called Custom Shapes in which you can customize or make your own shapes. 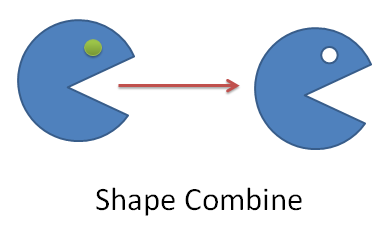 Using the new tab you have created, you can now add commands like Shape Combine, Shape Subtract, Shape Union and Shape Intersect. 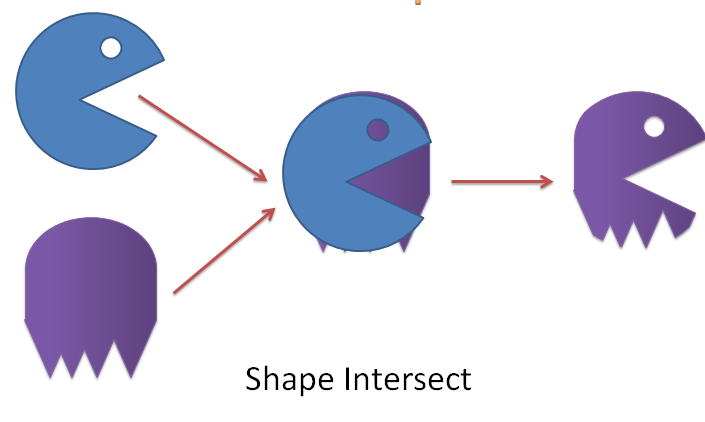 You are now done with your shapes. As you move on, you added some animations to a particular object; but you want to copy all the animations you have made to another object. You noticed that it would be time consuming if you are going to repeat the process again. Good thing, PowerPoint 2010 is always to the rescue; PowerPoint is helpful to save time in creating animations using the new feature called Animation Painter. 4. Then select the object you want to have the animation. In ramping up all your slides, you have decided to add finishing touches like inserting transitions. 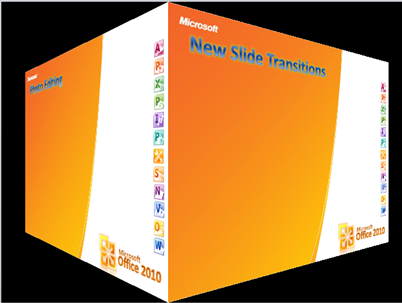 With the new transitions of PowerPoint 2010, you recognized that it boosts your static presentation by having lively 3D slide transitions. When you achieved the transitions you desired, you immediately saved it to your flash drive. 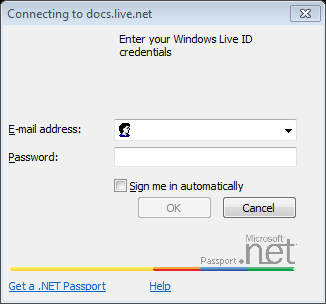 Since you wanted to have a back-up copy of your file, you decided to use Windows Live SkyDrive. 6. Finally, save your work. It was 9 in the morning when you are on your way to school, and you thought of wanting to review your presentation. With the use of your Windows Mobile Phone, you can review and rehearse your slides while heading to your destination. Your class is about to start; but, apparently you forgot to bring your flash drive. 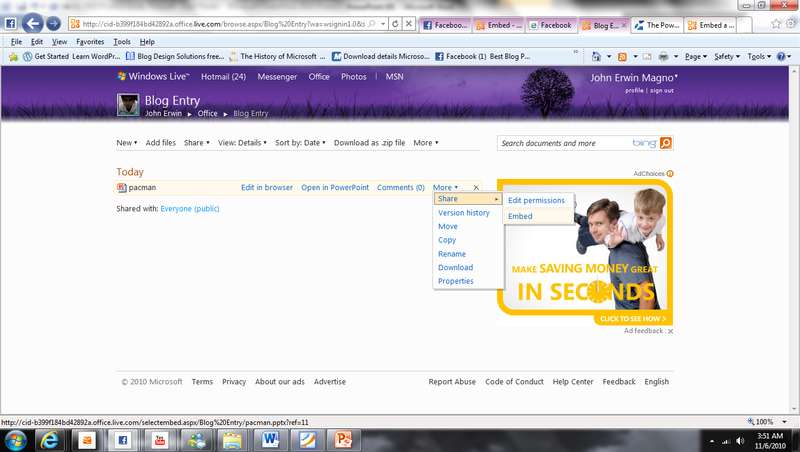 Then you fortunately, remembered that you have saved your presentation to your Windows Live SkyDrive. Thus, you can easily download the file or use your Windows Phone. Suddenly, there was a complete silence when your teacher called your name to present. You stood up, and slowly walked to the front and faced your classmates. You started with a confident smile. You began your presentation with an activity using Microsoft Mouse Mischief, an add-in tool for PowerPoint used in an interactive multiple-mouse presentation. With the use of this technology students or audiences can interact with the presenter using their own mouse connected to your own computer unit. Microsoft Mouse Mischief can be downloaded from this link ﻿here for free. A sample and a preview how mouse mischief works is shown here. After the activity, you started discussing the assigned presentation. In the middle of your discussion, you want to show or highlight a particular area of your presentation; however, you unexpectedly forgot to bring your laser pointer. Then suddenly, you appreciated that PowerPoint 2010 is great in integrating a Laser Pointer to your slideshow by just pressing "Ctrl+Left Click (Hold)"-and voila, you now have your own laser. You finished your slide and thanked the audience for listening. It was a success, your teacher was very grateful. Your classmates clapped while cheering your name. Your teacher went in front. You were about to sit on your desk, but the teacher wanted you to stay in the front. Your teacher started smiling and mentioning in the whole class, "To the Best Presenter in Class, Mr. Manny Pacquiao!" Your classmates cheered while shouting your name. It was indeed a success! Thanks to MS PowerPoint 2010! You smiled, talking to yourself in mind "I’m just doing my job you know." The journey does not stop there. A lot of people were asking to have a copy of your file at the same time you want to blog about what happened during your presentation. Since you already saved it to your SkyDrive, just make sure the folder where you saved your file is in "Public" or "shared with everyone," so that everyone can view your presentation. 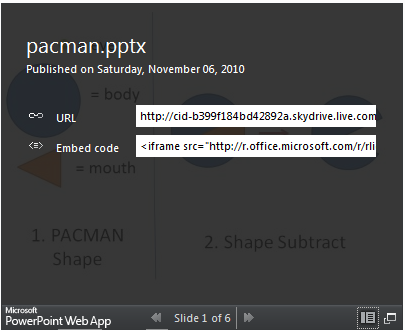 The URL text box is for those who wanted to see your PowerPoint Presentation in full screen. 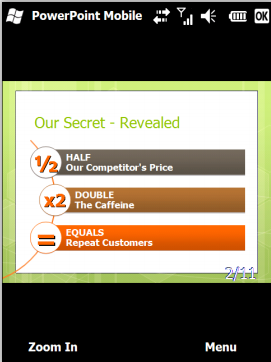 Embed code text box is for bloggers who wants to embed the presentation. 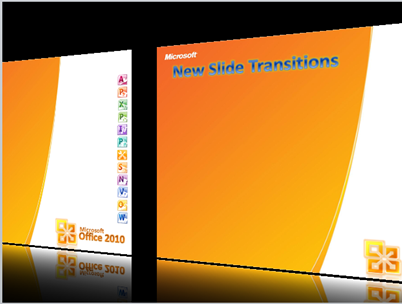 PowerPoint 2010 is a very helpful tool in creating presentations while enjoying the benefit of accessing it anytime and anywhere. There is no gap in making presentations on your desk, online with Office WebApps, and mobile access with your windows phone. 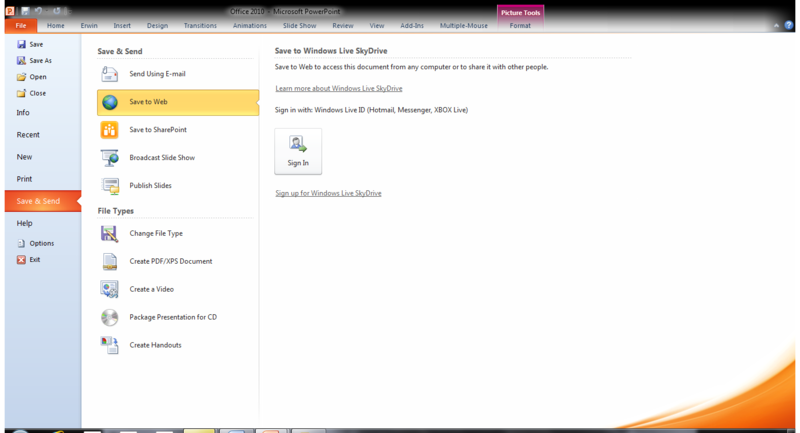 Take note this is just Round One application and Office 2010 making it possible to make it great for everyone. This entry was posted on Sunday, November 7th, 2010 at 3:17 pm	and posted in PowerPoint. You can follow any responses to this entry through the RSS 2.0 feed.